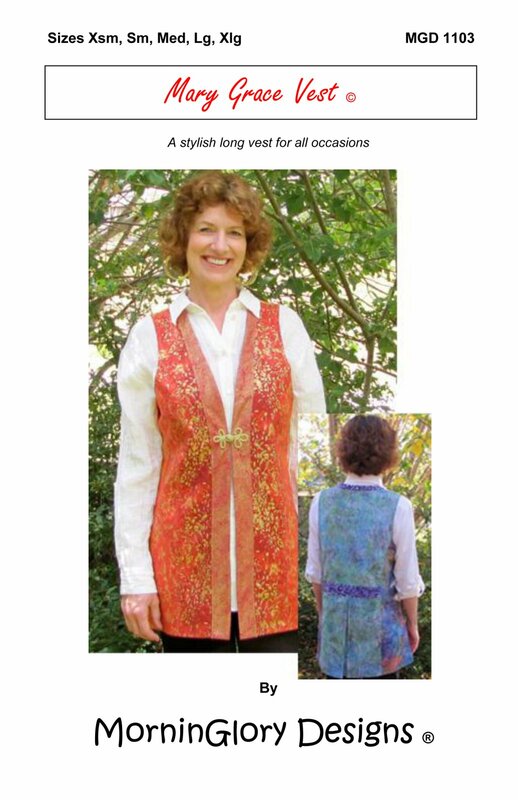 This thigh-length princess style vest has lots of style and is figure flattering. You’ll get loads of compliments when you wear it. Features a pleat in the skirt back with a half belt at the waist and closes with a frog or clasp in the front.